If you’re buying for someone this Christmas who is a real home bird and loves all things interiors then be sure to check out these lovely gift ideas. I’ve tried to keep these ideas interesting but yet fairly simple and neutral. 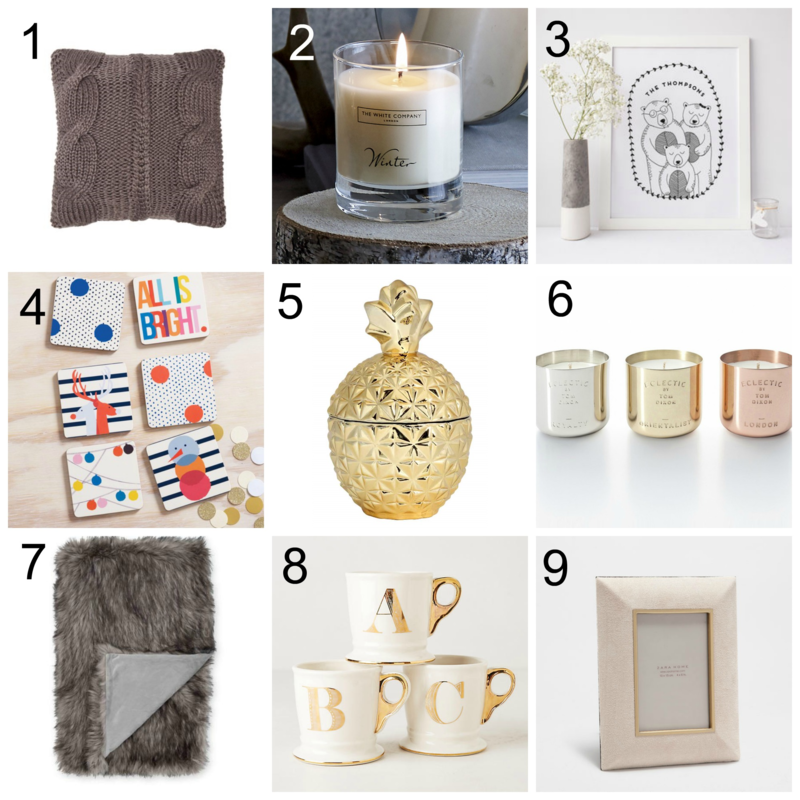 So if you’re shopping for someone and you’re not 100% sure of their style, you should find that most of these items will fit in to most homes quite comfortably. 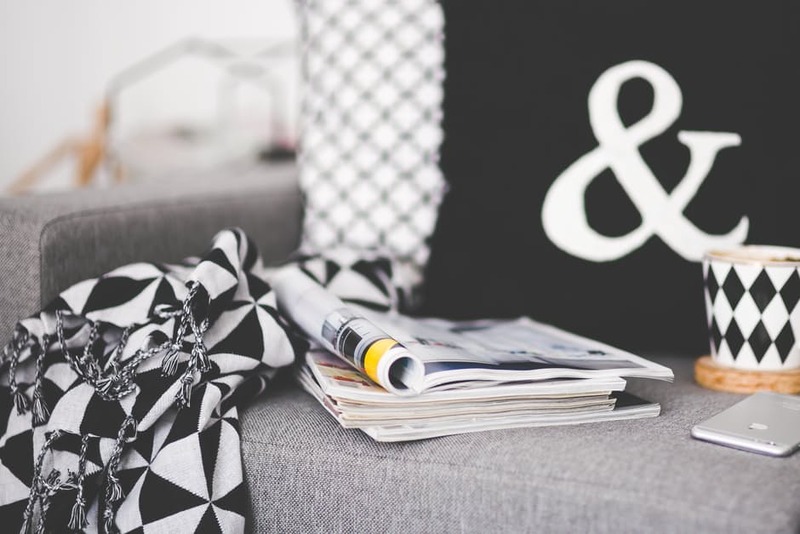 Home décor is a big passion of mine so I had lots of fun browsing and putting together this list, I hope you enjoy it as much as I did creating it. Linea chunky knit cushion – £30 – You can’t go far wrong with cushions for someone who loves interiors. These chunky knit ones from House of Fraser are perfect for cosying up on the sofa. The White Company Winter candle – £20 – Winter is my absolute favourite candle from The White Company, it’s a gorgeous warm and spicy scent, perfect for the festive period and I’m yet to meet someone that doesn’t like this fragrance! Personalised bear family portrait print – £28 – I was browsing Not on the High Street and came across this gorgeous print and fell in love with it, I’m having to buy one for my own home now! Boden Christmas coasters – £14.50 (6 pack) – Now these are probably the least neutral item on my list but I’d be surprised if someone didn’t love these beauties. They are bright and fun, and would add a lovely pop of colour to any home. Pineapple shaped glass jar – £7.99 – Pineapples seem to be everywhere at the moment so I reckon this is a pretty safe option for anyone with a modern home. It’ll look fab in any room of the house, just for decoration or to store little trinkets. Tom Dixon scent candle set – £75 – This gorgeous candle set from nest.co.uk might not be the cheapest item on my list but they are perfect if you are looking for something a little bit special for someone who likes a bit of luxury. Faux fur throw – £50 – £80 – Another safe option, but a really lovely one. Everyone needs a faux fur throw in their home, especially at this time of the year. Whether it’s in the living room or the bedroom, they are perfect to snuggle up under. Gold monogram mugs – £8 – These are simple, yet super pretty and of course everyone needs a mug so these should be a winner with most people. Zara Home photo frame – £22.99 – These frames really caught my eye, I love the faux suede fabric and the gold trim, which adds a subtle bit of interest to this simple frame. What do you think to these ideas? Would you be happy to receive any of these items?